Another fun thing we did with Kevin’s parents was take the Tube to Kew Gardens. 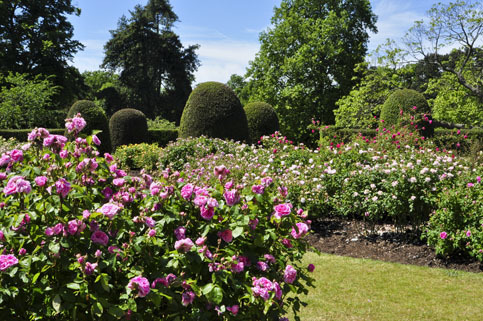 The Royal Botanical Gardens, Kew, (as its formally known) is located in Richmond, about 10 miles west of central London. 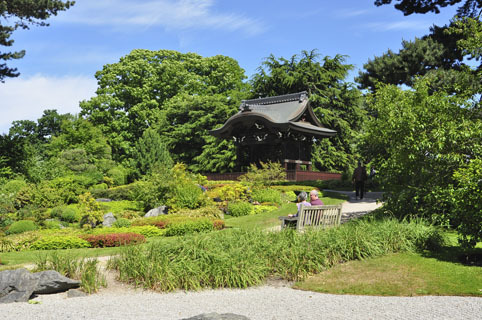 Kew Gardens consists of over 325 acres of gardens, glasshouses and wildlife. 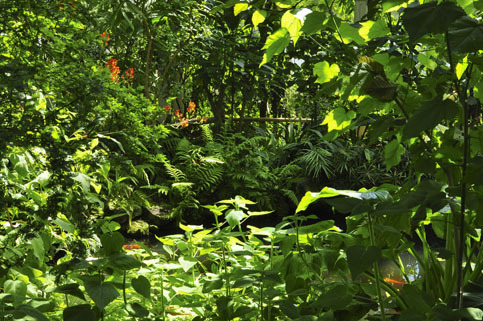 Kew has the largest and most comprehensive collection of plants in the world and is also a center of scientific research and conservation. 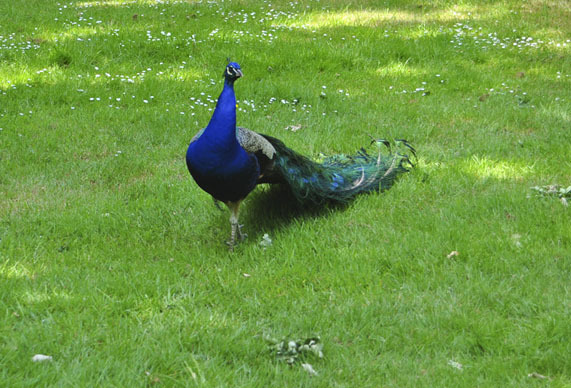 Kew was established in 1759 as a nine-acre garden by Princess Augusta, mother of King George III. 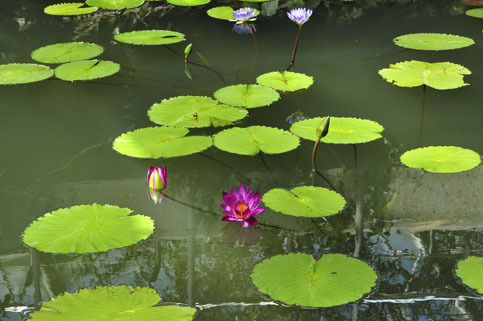 Over the years, it has grown to become a major visitor attraction and is recognized as a UNESCO World Heritage Site. 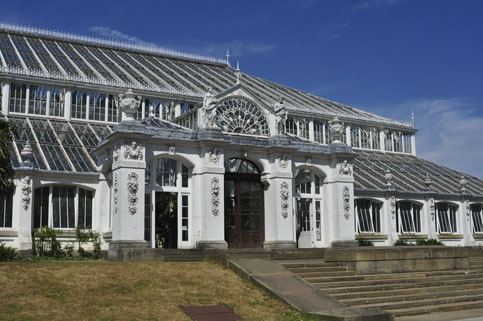 The Temperate House (c.1859) is the world’s largest surviving Victorian glass structure, at over 52,525 square feet. 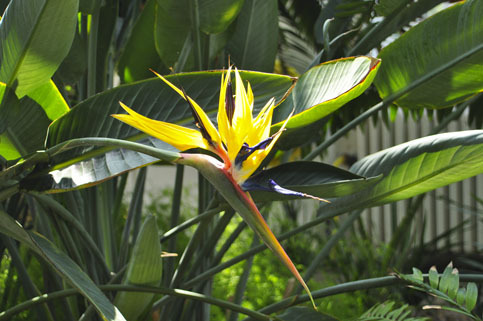 It contains exotic plants and tropical trees and palms from around the world. 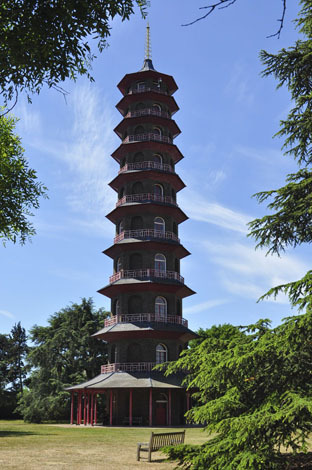 The Pagoda, completed in 1762, was designed by Sir William Chambers who had a special interest in Chinese architecture and design. The ten-story structure is one of Kew’s most popular features. The Japanese Gateway (Chokushi-Mon) was originally created for the Japan-British exhibition in 1910. It is a replica of the Western Temple of the Original Vow (Gate of Nishi Hongan-ji) in Kyoto, Japan. It was a great day and a nice break from the urban landscape of London. This entry was posted in The Sights and tagged Kew Gardens. Bookmark the permalink.